The transfer from blogspot to wordpress is now complete. Please update your bookmarks and visit the new capitalfanatic.com. I know it's too early to say "I told you so," but Tomas Fleischmann's opening night performance is great start on his way to proving his worth to the Washington Capitals. Maybe we should trust Gabby on this one and stop writing off the talented Czech winger. That's all I'm going to say about "Flash." Simeon Varlamov performed well in his NHL debut stopping all 20 shots he saw in the first twenty minutes of the game. He showed off his outstanding reaction speed and withstood a flurry at the end of the first period. Darren Machesney finshed off the game stopping 10 out of 11 shots over the final two periods. I think there is no doubt that Varlamov has the skills to play at the NHL level right now. The only thing stopping him from starting off the season with the big club is his adjustment not only to the american game and the smaller rinks, but the american culture as well. The Caps will bring him along slowly, but don't be surprised to see him with the big boys sooner rather than later. Matt Bradley wore the "C" during the game, and showed off his offensive skills too with a nice goal against the Canes' number one netminder, Cam Ward. One of the reasons the Capitals decided to keep Bradley this offseason in place of Matt Cooke was because of his importance to the team off the ice. If he can provide a bit more offensively, like Cooke brought to the team last spring, it will be a great help to the Caps secondary scoring. 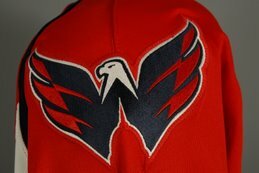 The Caps and the Canes square off again Thursday night in the preseason home opener at the Verizon Center. I can honestly say this is the most comfortable I have felt with our team since we bought it from Mr Pollin; we have so many options–so many good young players–so many seasoned vets; so many prospects who can push the vets and will make Hershey a very good team this year. I share Ted Leonsis' enthusiasm about the current state of the Washington Capitals organization. And when I say organization I mean the Caps, Bears, and Stingrays. This team has never had the depth, in both veterans and quality prospects, that it does right now. Each team will have a chance to compete for their respective championships. And for the first time since the Caps were swept by the Red Wings in the cup finals, this has the feel of a Stanley Cup championship team. We have an exciting season of hockey ahead of us. Defensive prospect Josh Godfrey is one of those players that is going to make the Hershey Bears extremely fun to watch. He has a booming slap shot that has been clocked in the triple digits. Look for him to spend the entire season in the AHL as he looks to develop his all-around game at the professional level. I have gone on record before that I do not agree with the bashing by the fans that Tomas Fleischmann receives. I'm with Gabby on this one, Fleischmann will surprise Caps fans this season and become a solid contributor to this team. Here is Tarik's take. Here's a preview of the Caps from the Dallas Morning News. Not too accurate when it comes to the line pairings but still worth the quick read. Now that the exhibition season has started, we can officially say that "Hockey's Back!" The goaltending situation for the Capitals organization will be an interesting one to keep an eye on this fall. The Caps seem set with Jose Theodore and Brent Johnson in net. But where their three prospects, Simeon Varlamov, Michal Neuvirth, and Daren Machesney play will be another story. In order to ensure enough playing time, one of the three will have to find another place to play. Will the South Carolina Stingrays be the place for Varlamov or Neuvirth this season, possibly. But in the meantime, the Stingrays have solidified their goaltending for the upcoming season. North Charleston, SC – The South Carolina Stingrays, ECHL affiliate of the Washington Capitals of the National Hockey League and the Hershey Bears of the American Hockey League announced today the signing of goaltenders Josh Johnson and Bobby Goepfert for the 2008-09 season. In keeping with club policy, terms of the deal were not disclosed. Johnson, 24, was 23-13-1 with a 2.80 goals-against average, and a .908 save percentage last season, his first with the Stingrays and first professionally. The Esko, MN native also recorded two shut-outs in his 37 games, and was named the Rbk Hockey Goalie of the Week for November 5-11 and December 24-30 and was the RBC Financial Group ECHL Saver of the Month for December. Prior to turning professional, the 6-foot, 195-pound net minder spent four years at the University of Minnesota-Duluth posting a 22-20-4 record with three shutouts and a 2.71 goals-against average in 51 career games. Goepfert, 25, joins the Stingrays after playing his rookie season with the Augusta Lynx. Originally a sixth round draft pick of the Pittsburgh Penguins (171st overall) in the 2002 NHL Entry Draft, the Kings Park, NY native was 16-15-1 last season with a 2.60 goals-against average and .912 save percentage. Prior to playing with the Lynx, Goepfert played four years of NCAA hockey; two years with Providence College before transferring for his final two years at St. Cloud State. In his four years, Goepfert was 58-39-15 with nine shut-outs and a 2.31 goals-against average. Also while in college, Goepfert played alongside Chris Chaput, T.J. McElroy and Andrew Gordon, all of whom logged time with the Stingrays last season. Mark your Calendars – the Stingrays open up the 2008-09 season at home against the Augusta Lynx on Saturday, October 18. The game will be at the North Charleston Coliseum starting at 7:05 p.m.
Don’t miss any of the fast-paced, hard-hitting action of the 2008-09 season; purchase your ticket package today! For more information, including benefits, pricing, and package options, call the Stingrays at 744-2248 or view the information online at www.stingrayshockey.com. Stingrays Hockey – A Whole Lot Cooler! The Stingrays were up against a team facing elimination, not only with their season on the line but possibly their franchise as well. The Columbia Inferno returned home Friday night trailing two games to none in the South Division Finals. Another loss and who knows when we might see the Inferno again as they will not be competing in the ECHL next season while they attempt to find a new arena to play in. In addition to that, the Carolina Coliseum's small ice surface, with a quality that makes the Verizon Center's ice sheet look state of the art, greatly favored the home team on their way to a 5-3 win in game 3. Travis Morin had two 1st period power play goals for the 'Rays, but the Inferno also tallied two goals with the extra man as the teams finished the opening frame tied 2-2. The goals give Morin 9 so far in the post-season, a total that ties him with teammate Marty Guerin for the league lead. The Inferno jumped ahead 3-2 just 2:28 into the 2nd period on a goal by Liam Huculak. But the Stingrays responded a little over halfway through the middle frame on a shorthanded goal by Trent Campbell, his 4th of the playoffs. The game stayed tied until just under five minutes to go when Peter Tsimikalis scored directly off an offensive faceoff win for the Inferno, giving them a 4-3 lead. The Stingrays tried to rally late but an empty net goal by Tsimikalis put the game out of reach, meaning that game 4 will take place Saturday night with the 'Rays now holding a 2-1 series lead. Check out the highlights of the game above which included a couple good fights at the end. An absolutely sick goal by the Red Wings' Henrik Zetterberg. You have to check this out. A 180 backhand goal while falling down. No, not that Guerin, Bill just finished up his first season as the captain of the New York Islanders. But Marty Guerin, a rookie out of Miami (Ohio) is proving to be a valuable asset to the South Carolina Stingrays this season. He now leads the ECHL with 9 goals during the post-season thanks to a hat trick in the 'Rays 5-2 win over the Columbia Inferno in game 2. Andrew Gordon and Patrick McNeill also made their series debuts Tuesday night and both made an instant impact. Gordon got the scoring started with a short-handed goal 5:10 into the 1st period. Then after the Stingrays squandered a 2-0 lead, Gordon started what ended up being the key play of the game just 2:26 into the final period. He created a turnover in his own end thanks to an excellent lift check, then provided the outlet pass to Stephen Werner that send the 'Rays on a two-on-one break. Werner then found Guerin who beat Inferno goaltender Todd Ford for his second goal of the night. That goal ended up being the game-winner. Patrick McNeill also added an assist on Travis Morin's power play goal that gave the Stingrays a 4-2 lead. The goal was Morin's 7th of the post-season putting him in second place in the ECHL behind his teammate Guerin. The Stingrays outshot the Inferno 40-17 during the game. Davis Parley stopped 15 shots on his way to his 5th victory of the playoffs. The win gives South Carolina a commanding 2-0 series lead over the Inferno with game 3 now shifting to Columbia on Friday. The 'Rays are just one win away from the Conference Finals. The re-enforcements arrived and payed immediate dividends for the South Carolina Stingrays in their opening game of the South Division Finals. 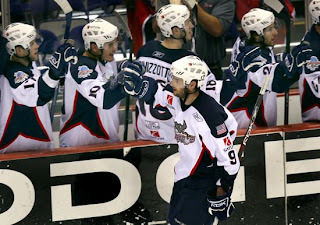 With the Hershey Bears eliminated from post-season play, Steve Pinizzotto (pictured, center) and Grant McNeill made their playoff debuts this season in the ECHL. Pinizzotto wasted no time in making an impact as he tallied the game-winner at the 1:31 mark of the 3rd period giving the home team a 1-0 lead in this best of five series. Davis Parley stopped 21 of 22 shots on the way towards his 4th win of the playoffs. On Tuesday, the Stingrays are expected to have forward Andrew Gordon and defenceman Patrick McNeill back in the lineup for game two. Their additions will further strengthen the Stingrays hopes of a run at their 3rd Kelly Cup championship and 1st since 2001. Our top tickets cannot be beat. We have Boston Red Sox tickets, Super Bowl tickets, New England Patriots playoffs tickets, and March Madness tickets. 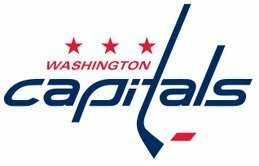 Visit RazorGator.com for a pair of tickets to tonight's Washington Capitals game! Purchase other exclusive seats as well - Stanley Cup Finals tickets, Mighty Ducks tickets, LA Kings tickets & much more including NFL Super Bowl tickets.